Do you want to root your android phone. If yes then how to root android phone without PC is your main aim. As you already know rooting gives your phone a boost to make changes tweaks setting, speed and much more which is not available to unrooted user. 1 So what does a Rooted Android Phone means ? So what does a Rooted Android Phone means ? Rooted android phone have the abilities to unlock its way of system files. So one can access the system written files and can tweak android as per ones desire. Rooting has the many advantages such as Increasing internet speed, Increase buffer speed, Improving the Audio & Video Quality of phone. One can also increase performance of android by removing to much bloatware and preinstalled apps. You can also boost phones memory by creating a Swap Files in your android. Rooting allow you to use maximum of your batter power so it can withstand the whole day. Everyone wants to root her android so they can boost smartphones performance and battery life. There are many methods available to root android phone with PC. But it is not possible for everyone to use PC for rooting due to some problems. So here is the good news for that peoples. Now everyone can root android phone without PC with the help of some rooting apps. This rooting apps works similar like PC software works , but are more handy. This is the best app ever made by the kingoroot team. This app has the highest success rate of rooting android phone in a single click. Kingoroot is developed and ,maintained regularly by the great team. Kingoroot support more then 50,00 + Android device available all across the world. Choose ones your and you are lucky to have kingoroot to root android. 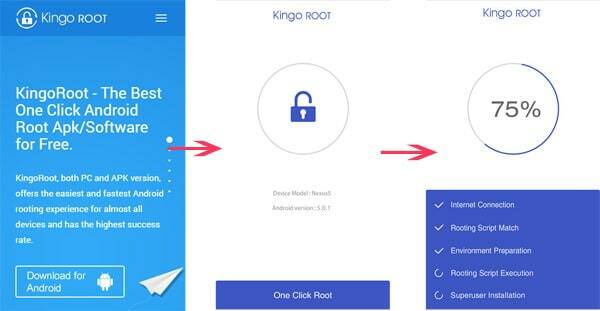 Step 4: Kingoroot will root your android successfully in couple of minutes. This is another best rooting app for android. Framaroot provides a simple interface in their mobile application. Its has three main option Rooting, Unrooting and Uninstall Framaroot app. You can root as well as you can also unroot your android phone with the help of framaroot. Step 4: Now Framaroot will root your android in couple of minutes. Step 5: Android now restart & Congratulation your phone is rooted now. 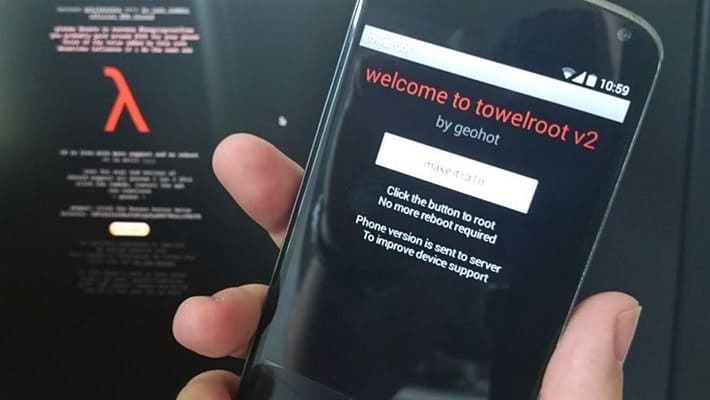 Towelroot is an awesome app to root your android device. It is a small tool that allows you to root your Android device in just a few seconds. This is an standalone app that can function independently and root your android device in one click. Step 1: Download Towelroot from here. Step 3: Click on make it ra1n and your device will successfully rooted. It is not what you thinking. If you create a problem or don’t follow instruction to root , install Custom ROM & Recovery they you can cause a problem of boot loop. But you can repair this , it is very easy. So it’s not much dangerous. Q. Why should i root my device ? 1. After rooting your phone, you can delete bloatware and preintsalled app from the system. 3. You can increase your battery life, increase your phones’s performance and also you can tweak you phone and do lots of customization. Rooting is the best thing to achieve most of your android phone so give it a try. Here i have provide best rooting apps to root android phone without PC. If you have any problem with these apps let me know in comments.